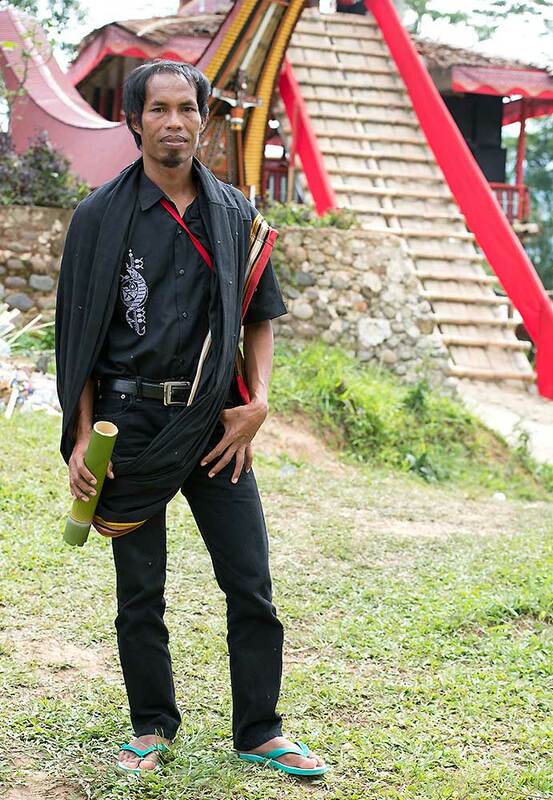 Daud Rapa was born in Tana Toraja, and has devoted his life to learning about local history, cultures and traditions. Daud’s ambitions were sparked as a child when he attended school near Rantepao’s small airport. Each day he watched as dozens of tourists arrived to experience Toraja’s elaborate funeral ceremonies, and decided to make it his life’s work to understand the intricacies Torajan culture, and explain these complex concepts to curious visitors. To learn his craft, Daud studied English and French intensively – he’s now fluent in both languages – and spent years examining local culture and history, which included meeting with priests to understand the ceremonies and rituals that shape life and death in Toraja. Daud’s dedication and passion for Torajan culture sets him apart from most guides, and he’s become highly respected for being able to share his knowledge with visitors, bringing Torajan history, culture and landscapes to life, and making visitors feel at home in this enchanting highland retreat. Daud also has extensive experience working as a guide across Sulawesi – including Pulau Bunaken, the Togian Islands and Tangkoko Batuangus Nature Reserve – and in other parts of Indonesia such as Bali and Papua. Having built a network of trusted contacts, Daud is the perfect guide to help get the best from your travels around magical Indonesia, and he’ll make sure that, everywhere you go, you are welcomed like an old friend.